Atlantic City, NJ - Yomary Blanco cleans rooms at Trump Plaza, one of three Atlantic City casinos that could shut down by September. Her husband works the buffet at the Showboat, which is scheduled to close on Aug. 31. With two young daughters, a mortgage, no savings and no obvious plan B, the couple is afraid of what the future holds. The pain of a sudden spasm of casino contraction in what was once the nation’s second-largest gambling market will hurt not only families like Blanco’s. It will also hurt small businesses like the seafood company in neighboring Pleasantville that sells lobsters to the casinos, the pizza shop in the shadow of Revel and the beauty parlor where dealers and cocktail waitresses get their hair done. The housing market could suffer as homes are foreclosed on, or sold for less than they’re worth. Taxes could rise and services decline in Atlantic City, where 60 percent of the budget comes from casino taxes; the city plans to cut $10 million from its budget in each of the next four years to make up for lost casino money. And New Jersey’s programs for senior citizens and the disabled, which provide bus rides to and from the supermarket or doctor’s office and help with the cost of prescription drugs, have already been cut back as casino tax collections plunge, and could shrink yet again. In January, the Atlantic Club closed, taken down by two rivals in a bankruptcy court auction, stripped for parts and shuttered. The Showboat will close on Aug. 31 and Trump Plaza on Sept. 16, barring some last-minute deal to save one or both of them. Revel, which was hailed as a potential savior of Atlantic City when it opened a little over two years ago, says it will close if a buyer does not emerge from a bankruptcy auction in August. That would put nearly 8,000 workers — about a quarter of the city’s casino workforce — on the street. The casino industry has had a mixed legacy — it hasn’t resulted in the wholesale community improvements some had projected after it opened in 1978, and Atlantic City has continued to grapple with crime. But it has indisputably made a huge difference in the city’s coffers and in job opportunities, employing more than 45,000 people at the industry’s peak. Blanco, who has cleaned rooms at Trump Plaza for 18 years, is already preparing for the possibility of her job and that of her husband disappearing within weeks. First to go will be the Catholic school her 7-year-old daughter now attends. “I don’t know how I’m going to explain that to her,” Blanco said. Donald Moliver, dean of Leon Hess Business School at Monmouth University, said the casino closings will have a ripple effect on the local and regional economy as less income is injected into it. He predicted mortgage delinquencies will rise, and government tax collections will fall. 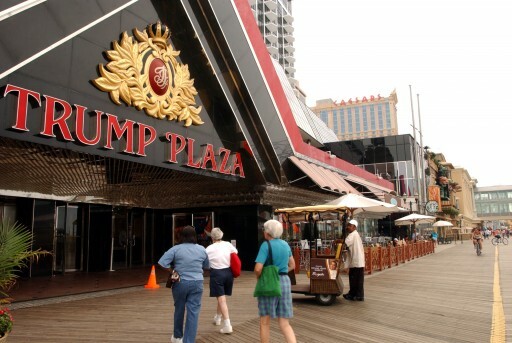 Since 2006, right before the first Pennsylvania casino opened, the amount of taxes New Jersey has collected from casinos at an 8 percent rate has fallen from $413 million to $207 million this year. The contraction of the casino market could result in the shift of more of the tax burden from casinos onto Atlantic City homeowners. Mayor Don Guardian took office in January promising voters “a root canal” in dealing with the city’s troubled finances. In addition to $40 million in budget cuts over the next four years, the city plans a revaluation that is expected to shift some of the tax burden from casinos, which had been overvalued, onto homes, which have been undervalued. Local businesses will suffer as well. Michael Hauke, owner of Tony Boloney’s pizza & sandwich restaurant near Revel, has invested $700,000 in the business over the past five years. Greg Goff’s Casino Lobster company sells to the gambling halls; last week, he started soliciting out-of-state restaurants to make up for lost business. Great place to invest in 5-10 years. Yes this is capitalism at its best.The casino owners can bankrupt and walk away and the workers are left without jobs and support. It's really a nebech for these poor people who are losing their jobs. New York City should lease the now defunct Atlantic City Hilton and ship their homeless population there. I bet it will be cheaper too. Gambling is "ganeva m'd'rabbonon". These casinos are getting what they deserve.